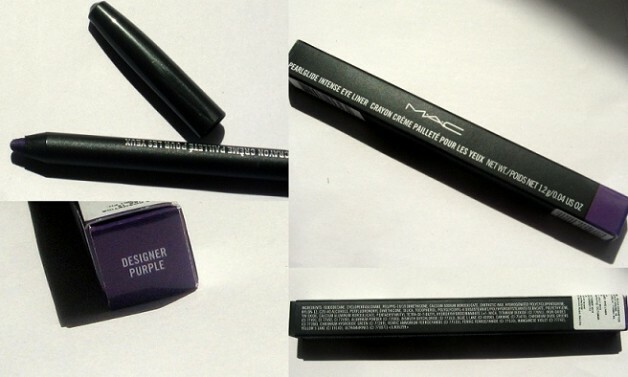 Finally after satisying my thirst for MAC Lipstick to some extent this time I gave some attention to the eye makeup range from Mac Cosmetics and bought an eye shadow (Plum Dressing) and an eye pencil. Recently I have a great fascination towards colored eye pencils and this time wanted to try something different than the usual blue, teal, green or emerald so I grabbed this new shade in my vanity. 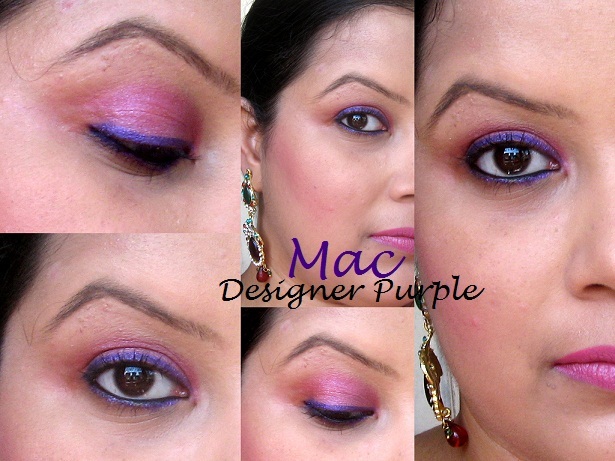 Presenting you my review and swatches of Designer Purple from the Pearglide Intense Eye Liners range by Mac. Actually I wanted that purple pencil under Veronica’s range from the LE Archie’s Collection and this one is almost similar to it so I jumped at the chance when I got to know they are almost dupes of each other. 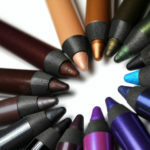 Mac claims: An eye pencil that provides rich, luxurious colour with a touch of shimmer and sparkle. Soft, smooth, creamy formula glides on for a perfectly intense line, yet its soft texture allows you to blend. Long-wearing. Smudge-proof. 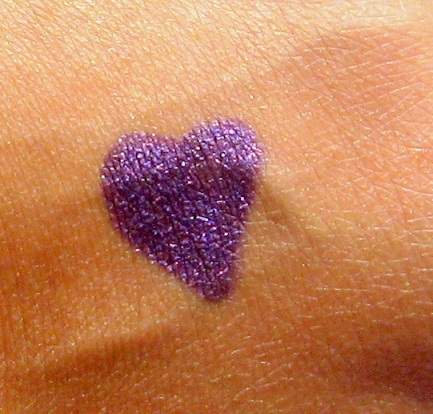 Mac Designer Purple is a shimmery violet shade that looks really flattering on brown eyes. 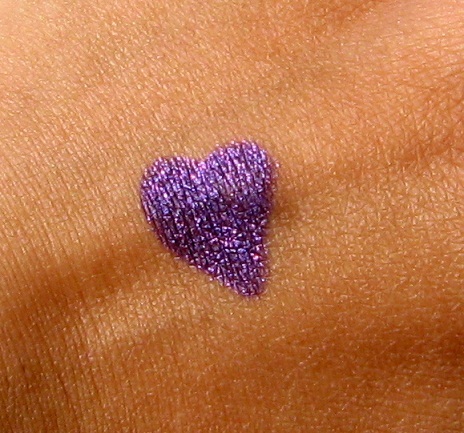 Although it has shimmer but it doesn’t look OTT and can be worn daily. 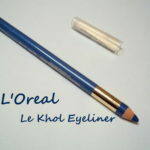 Infact some shimmer in eye pencils looks good and keeps them from looking flat. 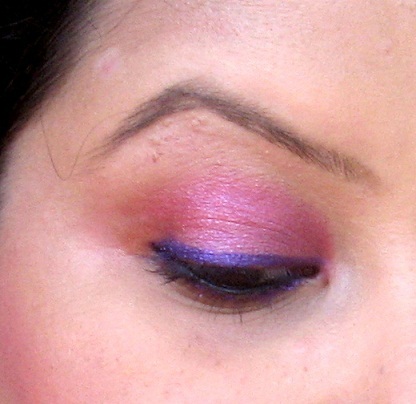 It is quite pigmented and one swipe is enough to show up well on pigmented eye lids. Now coming to the texture of the pencil. The texture is soft as well as creamy. And being creamy it glides smoothly on the eyes. 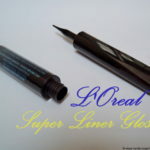 After few seconds of application it turns smudge-proof which is true to its claims. It stays on my waterline for more than 6 hours. 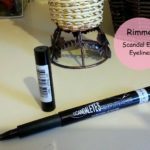 But being smudge –proof I find removing it a little bit difficult and due to the shimmer in it the Mac MUA advised me not to apply the pencil on the inner lash line as while removing it I might hurt my eye…so I always use a good Makeup remover to remove it. 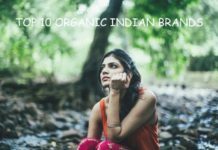 In short it has a great formula that stays pretty well and worth buying for just that I think. 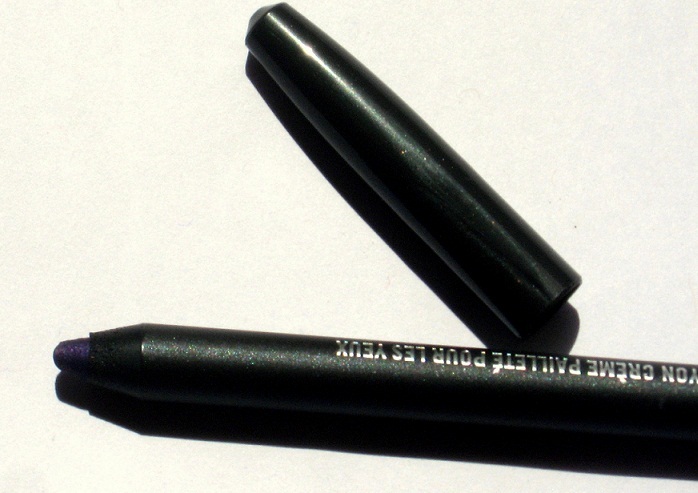 It comes in the usual black sleek box packaging with colored end at the bottom of the box as well as at the bottom of the pencil to show the shade of the pencil. The pencil comes with a tight fitted cap. It is not retractable so it needs to be sharpened. 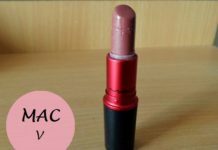 But since it doesn’t come in a twist up packaging, you cannot use it for the Back to Mac programe. 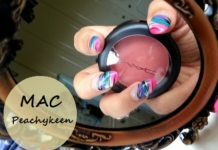 Back to Mac essentially means that you can take back 6 empty lipstick tubes or pans to get a new product from Mac. Colored end helps to distinguish the shade. 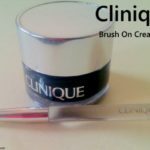 Glides super smoothly because of the soft and creamy texture. Stays on waterline for 6+ hours. Presence of subtle shimmer in it. Removing it might be a pain. 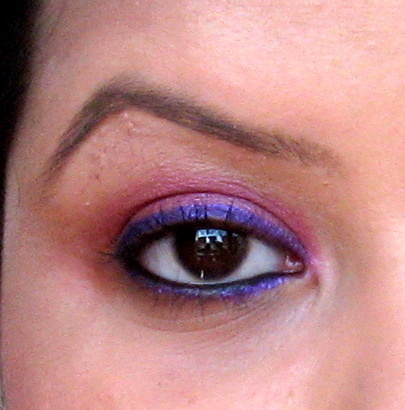 My Recommendation: MAC Pearlglide Intense Eye Liner Designer Purple is a pretty shimmery purple shade which looks quite flattering on Indian eyes. 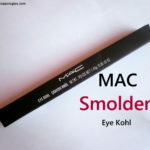 This is my first eye pencil from Mac and after using it I have decided to grab all the other shades from this range as I love the texture, pigmentation and staying power.I admit that being pricey its a tough decision but its worth the price in every way. 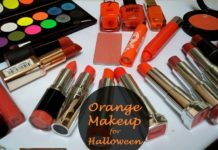 Shade is awesome but Y are MAC products so expensive Grrrrrrrr !!! This one is awesome !! I just loved that color..
Gorgeous shade! Pearlglides need sharpening right? it helped me out a lot. I’m hoping to present something back and help others like you aided me. What’s up, every time i used to check webpage posts here in the early hours in the break of day, since i love to gain knowledge of more and more.